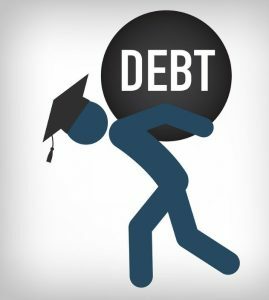 The average medical school debt today, according to the Association of American Medical Colleges, is $156,456. The United States is the only country in the world were future doctors have to bear such a financial burden of their education. That places significant strain on any relationship involving an American medical student. Still, if she and [her boyfriend] Mr. Kogler are going to move in together and get engaged, she wants their financial arrangements to be clear and fair. But how do you define fair when you’re bringing a quarter of a million dollars in debt to a relationship?